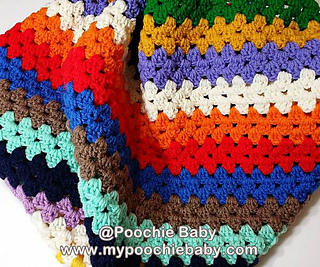 Lovely blanket that is very easy to make. 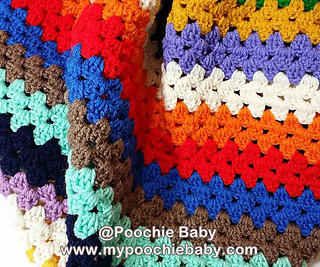 The finished blanket measures approximately 31 x 38. 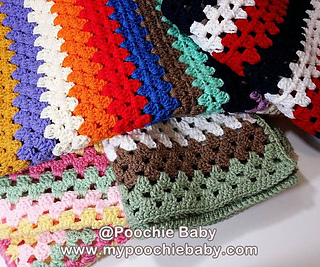 Make this afghan for a special baby is colors to match the nursery. 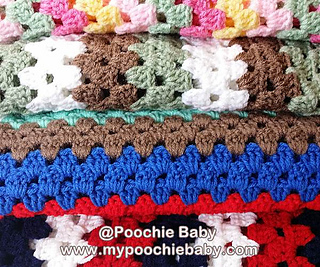 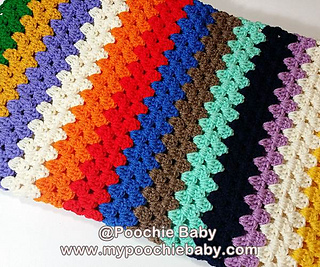 Poochie Baby is always just a Facebook message away if you have any questions about the pattern!